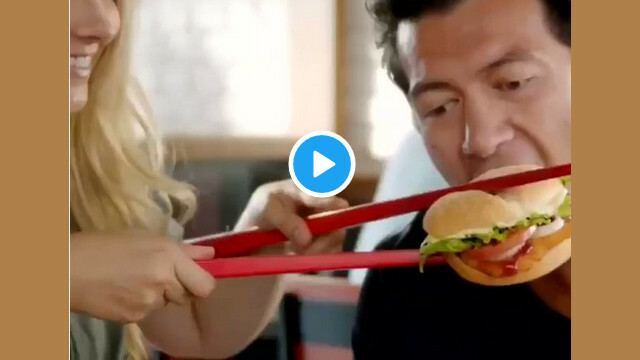 DAILYKENN.com -- The Burger King restaurant chain is being called out for an ad that features white people using chop sticks. The offense ad was outed on Twitter. Apparently, no one thought it racist until they were told to think it racist. Apparently racism is so rare in New Zealand that the far left must resort to manufacturing it from most anything, no matter how anodyne. Mo told HuffPost she decided to post the video because she was shocked to see it in the first place. Fine Mr Mo. No whites will ever set foot in any Korean owned establishment to avoid racism and vice versa.